Home » Blog » How can you make your home more energy efficient? Being energy efficient in the home used to be a niche worry, but it has rapidly become more mainstream, with budgets tightening and everyone becoming more environmentally aware. Energy efficiency aims to achieve better results from the same expenditure, or to get the same results for less expenditure. This can be applied to businesses, schools and houses: let us have a look at energy usage on the home front. If you are looking for ways to make your home more energy efficient, the first thing to look at is how much energy you are using. You may think that your home is energy efficient, but checking this periodically can help you to ensure that you pick up on any deficiencies that might have crept in without you noticing. You can look at ways to save energy by switching off plugs and things like chargers that are not being used – they each only draw a tiny amount of power, but it all adds up over time. You can also prevent energy wastage, by finding the source of any draughts and fixing or blocking them. Finally, you can make use of renewable sources of energy by installing solar panels or a small wind turbine. How to perform an energy audit on your home. – Follow any draughts to their sources and see if they can be minimised or eradicated. Examine vents and assess if they are still necessary. If you have had gas lines replaced with an electricity supply, you may no longer need to have a vent. This can then be sealed up, helping to keep the home warm and dry. NB: if you do still have gas in the home, as many people do for their central heating, you will need to have at least one vent to protect you and your family from carbon monoxide poisoning – always take advice before sealing off a vent. – Door seals can weaken or perish over time, sagging and allowing draughts into the home. These should be checked annually, being cleaned and repaired or replaced if necessary. 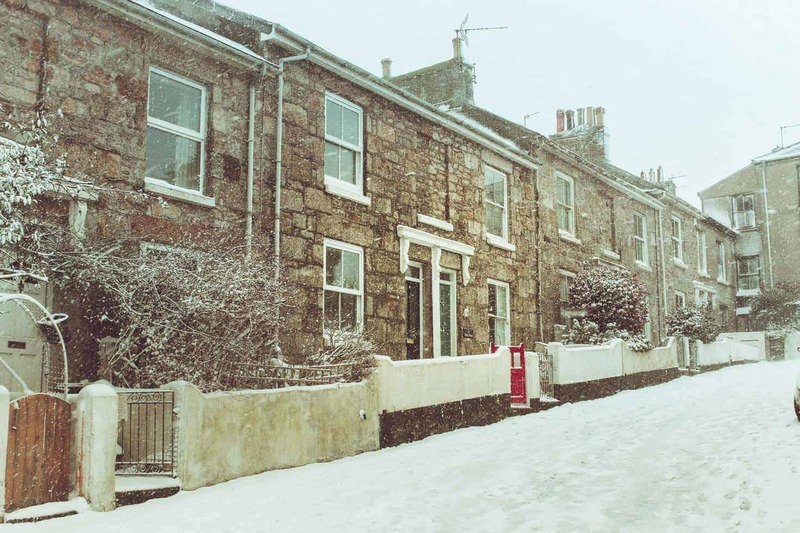 Letter boxes can sometimes have too much of an opening, allowing icy air to penetrate into your home. This can be effectively blocked off by installing brushes in the open space, or you can buy fittings that cover the letter box, safely trapping letters while keeping the cold and damp out. – Insulation is very effective at preventing the loss of heat from a home. Cavity wall insulation is a fairly quick and painless process, while loft or attic insulation is even more so! – Windows can be a massive source of draughts in the home, and if you are wondering how you can make your home more energy efficient, then changing your older windows for energy efficient, modern ones can save you an incredible amount of energy. Which windows are most energy efficient? The most obvious step up when it comes to deciding which windows are most energy efficient is to go from single glazing to double-glazed windows. The average home can save anything from fifty pounds to over one hundred pounds simply by making the change to double-glazing! The space between the glass works to prevent heat loss. You can also get triple-glazed windows in which three sheets of glass are used, for those homes which require that little bit ‘more’. Secondary glazing is a more budget friendly option, although you may want to look at some examples of various glazing options before choosing: double-glazing can offer a more professional-looking finish. This is because secondary glazing is, in effect, converting an existing window into a double-glazed window without taking out the original single-pane window. The second piece of glass is placed close to the existing window and fixed in place according to the layout and features of the window sill and frame. There are several steps you can take to make your home more energy efficient; and they range from cheap, quick and cheerful to a more considered and intense project. But all will help you save money in the long run, keeping your home cosy and comfortable and even protecting the environment too! Interested in finding out more about how we could help? Get in touch with the team here at Benchmark Windows today on 01903 334 237.